CAPE CANAVERAL — The U.S. Navy has declared the primary orbit-raising system aboard its new MUOS No. 5 communications satellite failed, leaving controllers scrambling to design a rescue plan. 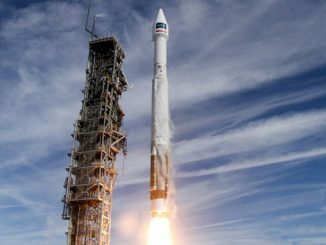 The final Mobile User Objective System satellite was launched into a geosynchronous transfer orbit on June 24 by a United Launch Alliance Atlas 5 rocket from Cape Canaveral. The Lockheed Martin-built spacecraft was supposed to perform 7 burns of its main engine to raise and circularize the orbit to geosynchronous altitude 22,300 miles over the equator in view of Hawaii. 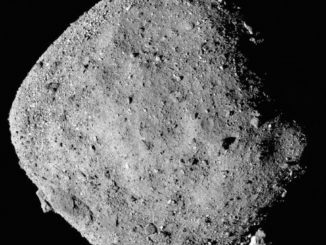 After completing an unspecified number of maneuvers, an “anomaly” struck June 29 that has rendered the main propulsion system failed. “Evaluation of the fifth Mobile User Objective System (MUOS) satellite determined that the satellite experienced a failure of the orbit-raising propulsion system during a transfer maneuver on June 29,” the Navy announced today. The satellite was launched into a customized high-perigee geosynchronous transfer orbit as planned, stretching from 2,379 by 22,219 miles at an inclination of 19.1 degrees. 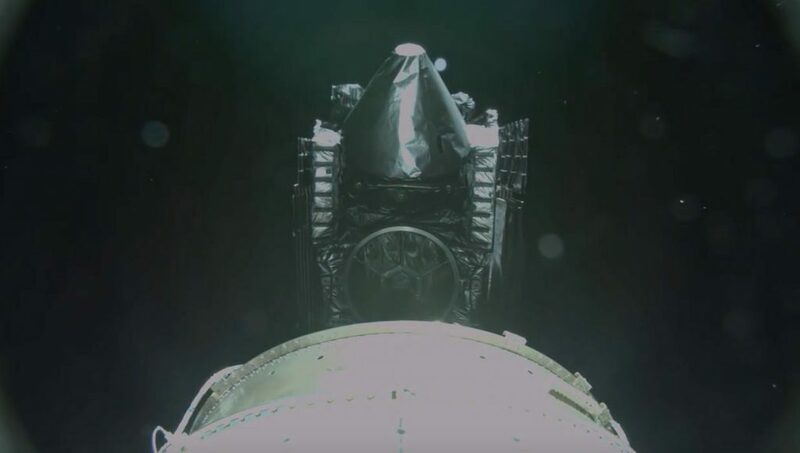 With some maneuvering already accomplished, MUOS 5 lifted its perigee to around 9,471 miles and reduced inclination to 9.8 degrees, hobbyist observers tracking the satellite reported in early July. They were the first to notice and publicly reveal that the craft has suddenly stopped maneuvering. “The satellite remains in a stable intermediate orbit since experiencing the anomaly. The MUOS team is continuing to evaluate the situation, considering alternate orbit adjustment options, calculating mission impact and investigating all options before proceeding,” the Navy statement said today. But it appears the satellite has performed some orbit-raising in recent days, albeit tiny compared to large-scale maneuvers. The Navy has not confirmed any movements, but hobbyists keeping tabs on the stricken satellite have seen the tell-tale signs. “When Scott Tilley observed MUOS 5 on July 21 near 11:00 UTC, it was still in the orbit in which it had been stranded by the propulsion system failure on June 29. When he next observed it, on July 30 at 10:00 UTC, it was nearly 17 minutes late relative the orbit it had been in on July 21. That is an indication that it made one or more maneuvers in the interim. The orbit change probably was not large. A precise determination is pending further observations,” said Ted Molczan, a respected satellite observer. The satellite is in a 16-hour orbit, more than 12,000 miles away from a usable orbital perch. With the 100-pound-thrust main engine now out of commission, ground controllers will look to the satellite’s small thrusters for saving the mission. The craft is equipped with 18 monopropellant hydrazine thrusters designed for attitude control — a dozen 0.2-pound thrusters and six 5-pound thrusters. The BT-4 main engine, made by IHI Aerospace of Tokyo, Japan, uses hydrazine fuel and nitrogen tetroxide. Aerojet Rocketdyne made the thrusters for MUOS. The Navy has not identified the culprit for the propulsion system woes. No specific component has been implicated. The situation is reminiscent of the Air Force’s first Advanced Extremely High Frequency satellite that experienced a main propulsion system failure after launch due to a clogged fuel line. It was able to achieve geosynchronous orbit using its xenon-fed electric thrusters with no reduction to mission life. But the MUOS satellites do not have a xenon propulsion system, only hydrazine. MUOS No. 5 was supposed to arrive in its geosynchronous orbit on July 3 for the start of checkout in view of the Hawaii ground station before drifting to its operational location over the Indian Ocean. Original plans called for service activation by Christmas. 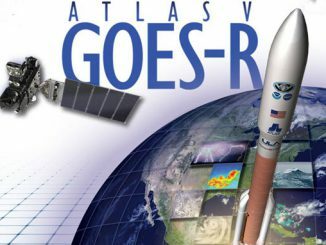 The last-of-its-kind satellite planned to fulfill a dual-role in space — immediately providing ultra-high frequency communications to U.S. military forces while also serving as an in-orbit spare for the Navy’s new “rugged smartphone” system. The four earlier MUOS satellites are in use today providing UHF communications.